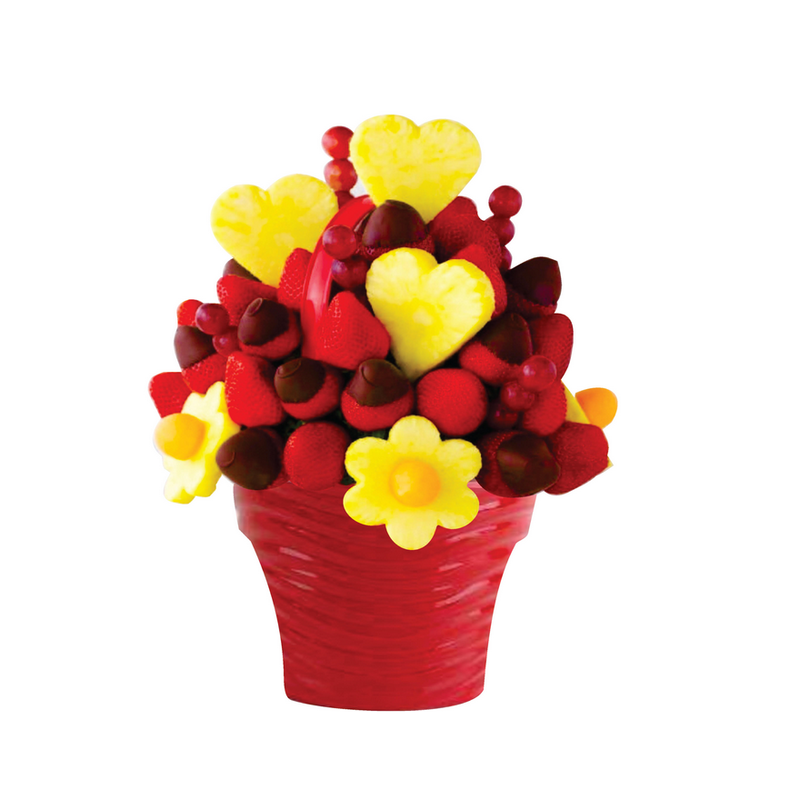 The Berry Love Bouquet is the perfect delicious gift to impress! Made from fresh fruits, the bouquet is beautifully designed to look like a floral arrangement. Features strawberries with some dipped in gourmet chocolate, pineapple hearts, grapes and cantaloupe melon balls. Makes a very unique and memorable gift for any special occasion. Perfect as something different for Valentine's Day. Available in 3 different sizes, choose your size using the option available. Fruitful Occasions are passionate about making sure their products look visually stunning, and use only fresh hand-picked fruit to create their bouquets. Well packaged and presented so that it gets to your door perfectly. This is a fresh product so the shelf life is 1 day, but it is advised to start consuming some fruits on the day it arrives as some may be riper than others. For example pineapple can last days but strawberries don’t last as long. And that’s making sure they are kept in air tight containers after being opened. Please take care when eating the fruit as sharp skewers are used. Children need to be supervised when eating from the bouquet. Fruitful Occasions products are made from all natural fruits with no added preservatives. However some fruit bouquets may contain, or may have come in contact with, tree nuts (almonds, hazelnuts, and pistachios), peanuts, wheat, eggs, milk, and soy. They cannot promise that a gift will not have come in contact with nuts, or another allergen. But they do use gluten free gourmet chocolate, and they advise customers to get in touch via the Contact the Maker button below with any concerns and they will try to look into ensuring no cross contamination occurs whilst making your order.